My first ever knitting pattern was inspired by the new dress I bought at Anthropologie last week and a half skein of vintage yarn from the thrift store. 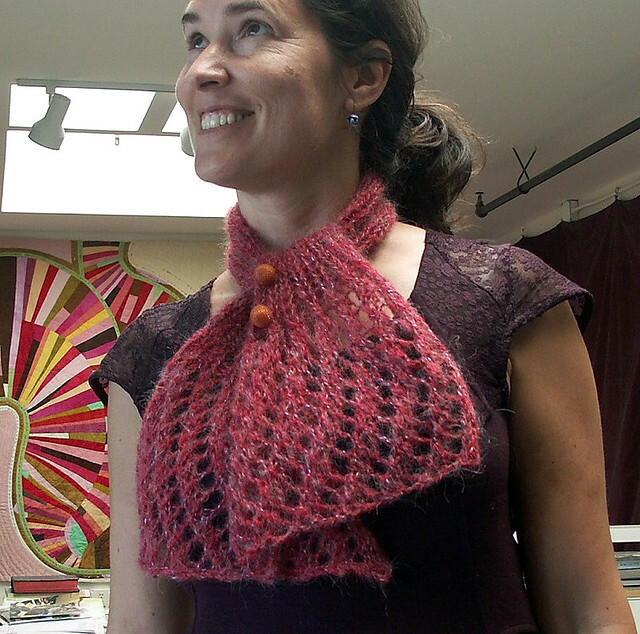 It was made as a button up neck wrap (below) but the button holes are optional. 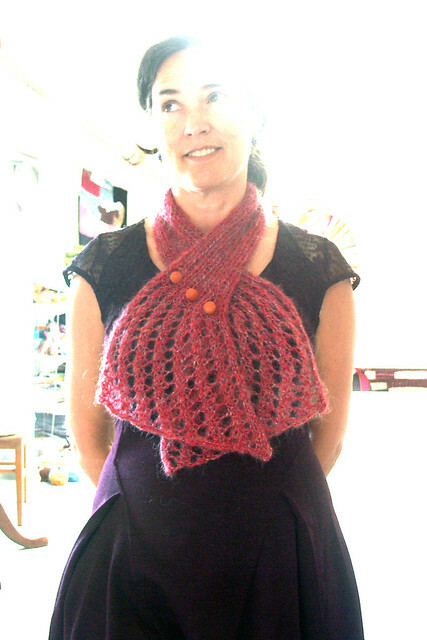 I actually like it better tied around the neck (above) but if you have some pretty vintage buttons I would add them as embellishments just the same. I used half a skein (about 50 yards) of Galaxie by Phentex, a vintage yarn made of 30% acrylic, 30% wool, 29% viscose, 11% polyester. (optional) add button holes on front: p, k, p, yo, p2tog, k, p, k, yo, k2tog, p, k, yo, p2tog, k, p - 17 stitches on needle - note: you can also use the first row of the lace for your button holes instead of adding an extra set of holes, in that case omit rows 9-10. (optional) sew buttons on other end of ribbing from button holes, add a snap if needed to keep underside of scarf in place. If you prefer to tie the neck wrap and omit button hole instructions but add two or three vintage buttons on one side of the ribbing as embellishments.